Make your own homemade pepperoni pizza tonight! It’s 100 times better than store bought and easy too! 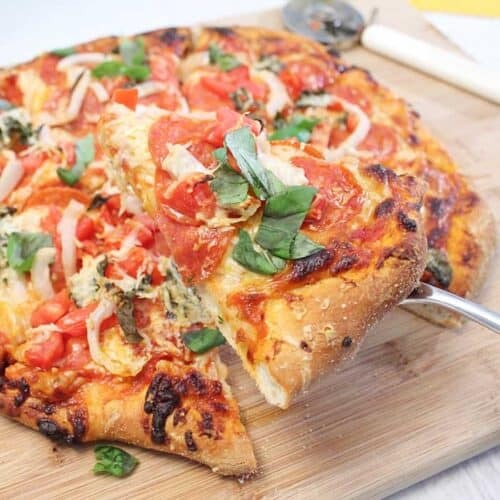 Start with store-bought pizza dough, add your sauce and favorite toppings and voila – you’ve got pizza your way! And you’ve never tasted anything better than when it’s hot out of the oven! 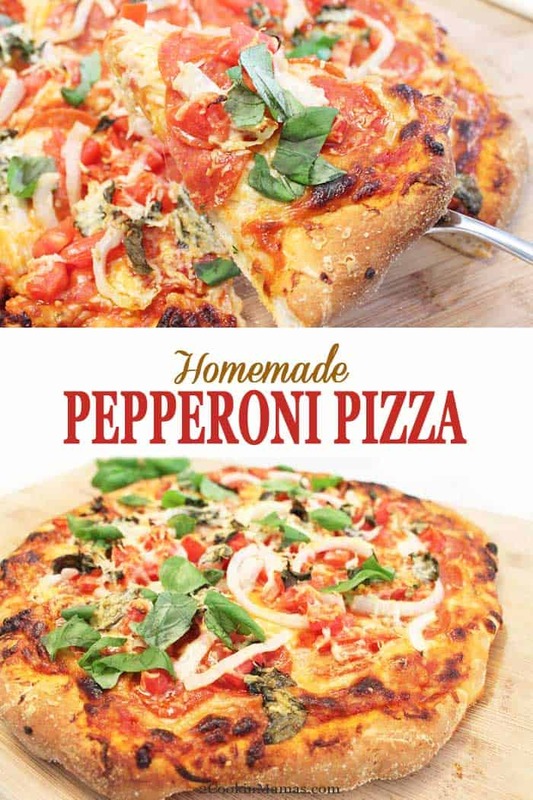 This homemade pizza is so easy to make that you’ll wonder why you never tried to make pizza at home before this. After all, it’s just a dough crust with your favorite pasta sauce, mozzarella cheese, Parmesan cheese, fresh basil and pepperoni. Yep, that’s it! Sounds simple right? Well, let me tell you, it is! 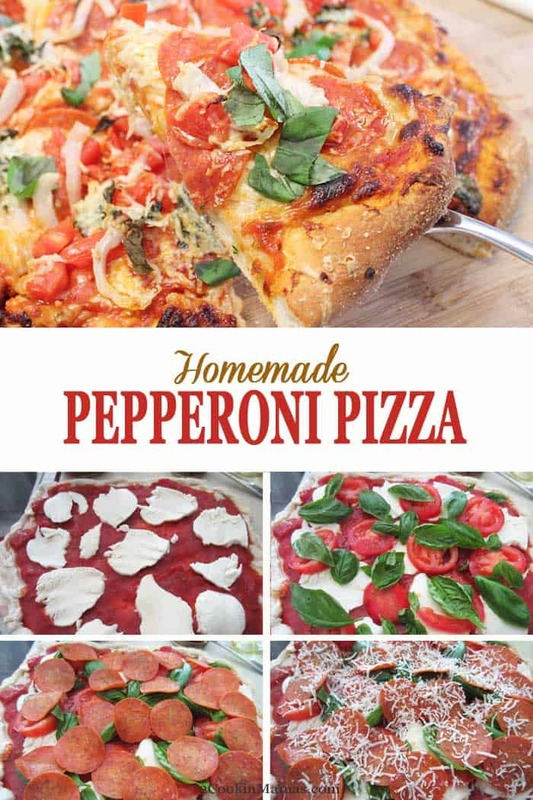 4 easy steps to make this homemade pepperoni pizza! 1. Oil the dough and pour tomato sauce on top. 2. Lay mozzarella sliced on top. 3. place tomatoes, basil and pepperoni or other ingredients on top of cheese. 4. Grate a little Parmesan or Pecorino Romano on top & bake. First, what does a pizza stone do? It’s used primarily to crisp up the bottom of bread or pizza crust by absorbing moisture and creating an even heating surface. Makes sense to me. So not only does this pizza stone make a homemade pizza with a perfectly crisp light crust but can be used for breads too. Double bonus! And since both my husband and I like thin crust pizzas, cutting down on some of those carbs you know, it seemed like a no-brainer to give it a try. The verdict from my pizza aficionado husband – absolutely scrumptious! 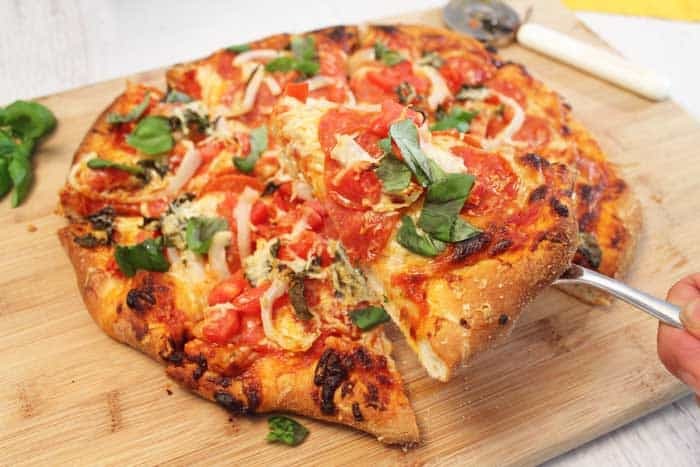 Homemade pizza has now become a favorite Friday night dinner for us whether it’s BBQ Pulled Pork Pizza, Double Cheeseburger Pizza or Meatless 3-Pepper Pizza. So, my advice, just bite the bullet and go ahead and purchase a nice pizza stone. Believe me, you’ll be glad you did! Sprinkle your pizza stone generously with cornmeal (not flour as it will burn) to prevent crust from sticking. Place your pizza stone in a cold oven and preheat for 30 minutes at 500 degrees. While stone is heating roll out your pizza crust on either the back of a cookie sheet, a pizza peel (wooden paddle) or your counter, lightly dusted with cornmeal, to a size that will fit your stone. From experience, I now wait until the pizza stone is hot, move it to the top of my stove and carefully put the pizza dough on the stone. I have tried countless times to move it with all the ingredients already on the crust and they tend to slip off the pizza crust. So now I just wait and build it quickly when the stone is hot. Place sliced mozzarella on top of sauce, sprinkle with desired amount of salt and pepper, top with basil leaves and pepperoni slices then finish with Pecorino Romano or Parmesan cheese. Return to oven and bake for 20-25 minutes depending on thickness of toppings or until bottom is crisp and top is bubbling. Slide off the stone onto wooden cutting board or pizza peel and garnish with remaining basil leaves. Cut with pizza wheel and serve immediately with additional Pecorino-Romano or Parmesan cheese and hot red pepper flakes. Prep is a little different with the gluten free crust but just cook it a little first on a cookie sheet, as directed on the package, then add ingredients and return to oven to finish cooking. Wine Pairing: Mots people prefer beer with pizza but I am not much of a beer drinker so I pour myself a nice glass of red Zinfandel, Italian Chianti or a Barbera. This post was first published on February 6, 2014. Photos and recipe have been updated. We love this kind of easy but tasty meal on a Friday night. Thanks for the recipe. 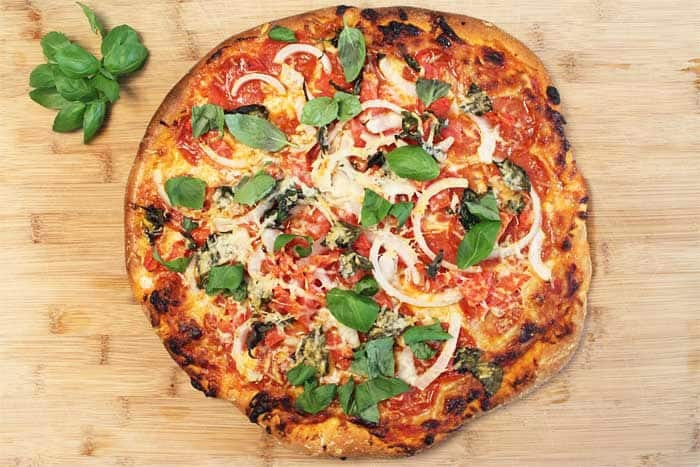 LOVE that this pizza recipe uses fresh mozzarella and basil. We’ll be repeating this one, for sure. I think fresh ingredients always makes a dish better. Glad you liked it. 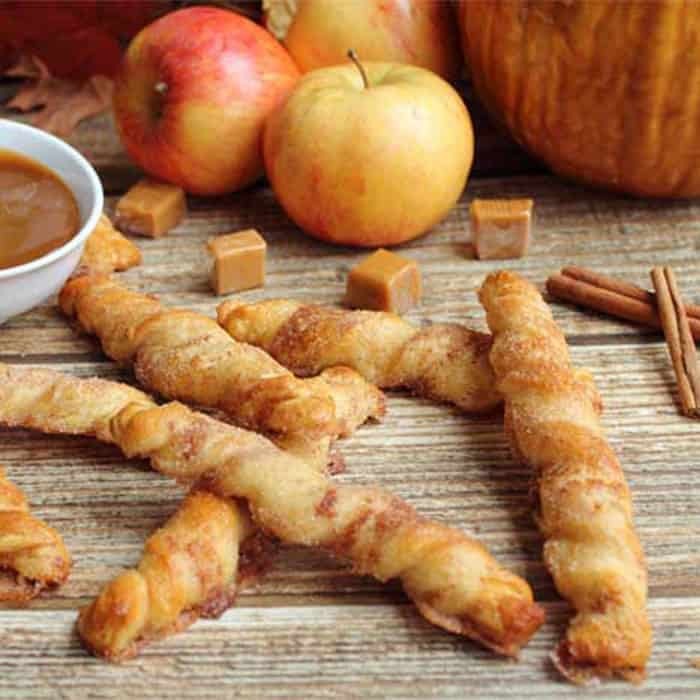 I love that there are some gluten free options for crusts and how easy this is to make! 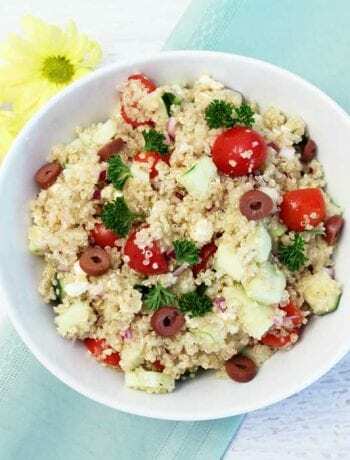 Such a delicious and easy alternative to ordering take out! 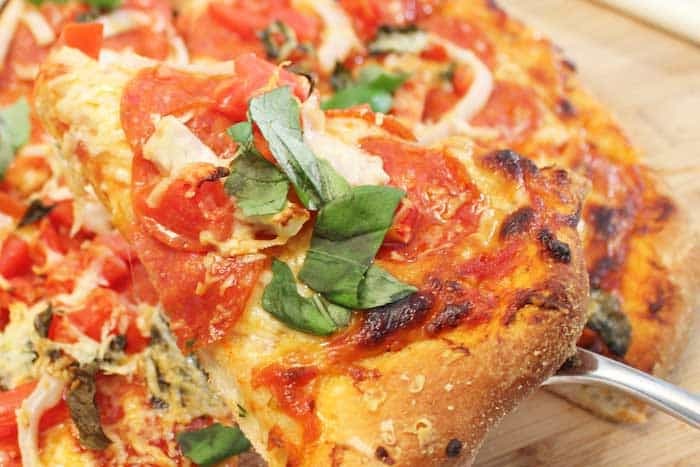 Homemade pizzas are just so much better than takeout and pretty easy to whip up. My daughter loves the gluten-free pizza version and makes it often. We loved this pepperoni pizza! 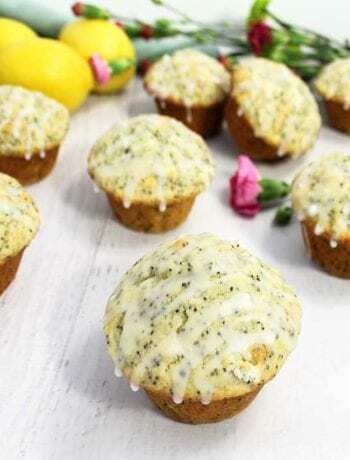 The twist with the basil on it made this to die for! I’m so happy to hear you loved it as much as we do! It’s amazing how much fresh basil can make this pizza out of this world.